A trendy Tulsa yarn store gets a signature look. Coffee, yarn, and conversation...not necessarily in that order. 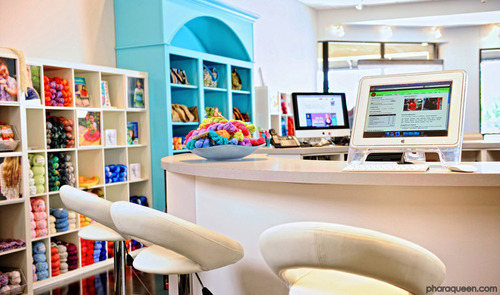 Loops is a modern retail store centered around a comfy atmosphere for yarnies to hang out, shop, and knit.